The Chinese-specific standalone headset from HTC is powered by Qualcomm’s Snapdragon 835 SoC and is very similar to HTC's standalone Daydream headset that will be released worldwide later this year. The standalone headsets are supposedly more affordable than the previous versions. It probably is too early to say if VR will become the next big thing, as not too many companies are willing to support the technology for now. Last year, we saw the launch of several headsets, but most of them were not standalone, as they required a smartphone or mid-range PC to power them, and the price was a bit high for what they offered. HTC also launched its non-standalone VIVE VR headset last year, and even though the company reported good sales for the model, the reviews were reserved because of the US$800 price tag. Information about a standalone headset from Samsung was already leaked earlier this month, and it looks like HTC doesn’t want to fall behind and now announces its own standalone VR headset, only for China at the moment. The new HTC VIVE Standalone headset is powered by Qualcomm’s Snapdragon 835 SoC, one of the fastest chips available nowadays, so it does not require any other device to power it. HTC also wants to launch the Viveport store in China, but with several tweaks, since the Chinese enforce national regulations on Google’s services, such as the Daydream VR content. This also represents the reason HTC had to specifically design a separate headset rather than sell Daydream-compatible hardware. 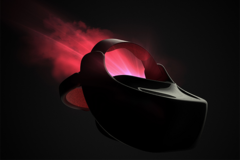 The VIVE Standalone headset seems to be very similar to the Daydream VR-compatible headset HTC announced in May this year, but no other technical specs were unveiled in the announcement. In addition to the Google Daydream support, the Chinese-specific headset also supports Qualcomm’s VR platform. No information on pricing and availability, for now, but HTC did mention that the standalone headset is designed for “a more affordable, yet high-quality VR experience”.